Our little puppy girl, MiBella, is ready for her forever home! She is spayed, all shots are done and she is ready for adoption. She was born around the middle of May 2017. 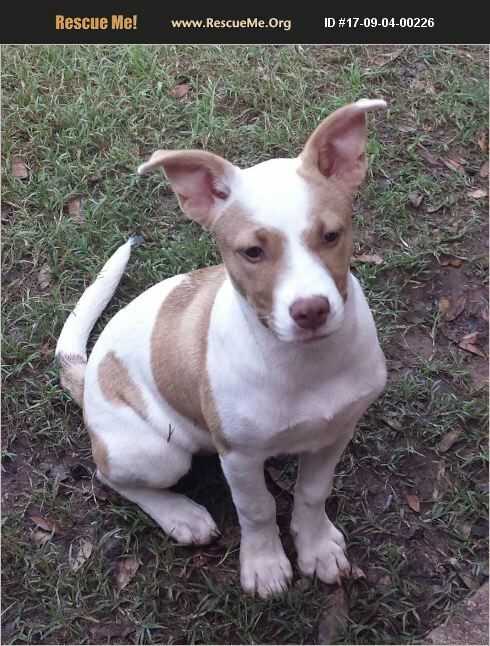 MiBella is a JRT/Mutley mix and will probably get up to 40 pounds when grown. She is pure love, very calm and playful, but listens very well when told to stop. She is potty trained, but if left indoors for over 5 hours, more than likely will pee inside. She whines when she needs to go out. She started out crate trained, but is a bed sleeper. She walks pretty well on leash. She bucks a little at first until the walk begins. She's a good car rider, but still a little uneasy about it. She needs a companion that is hardy enough to wrestle with her and take her rough housing. She gets along with all dogs, cats, and people. I have truly enjoyed watching her grow and I love her very much. She is very smart and is an observer of her surroundings. I would love to see her with a K9 trainer...I truly think that she would be good at it, intelligent enough; she has a nose for finding little creatures under the dirt. Please consider her for therapy certification or K9 training. I am feeling great vibes on this girl. I feel it in my heart and soul. She's a great dog! MiBella will need a home with a securely fenced yard and no electronic fencing. She will be best with children over 12 years of age...no babies or toddlers. Only Texas and Louisiana adopters and her adopter must be able to drive to Shreveport, Louisiana to pick her up. A home visit and a good vet reference are mandatory to adopt MiBella. If you are interested in adopting MiBella please go to www.texasrussellrescue.com and fill out the online adoption application. Her adoption fee is $200. Contact: jolleyjames@sbcglobal.net. Please visit us on Facebook at www.facebook.com/TexasRussellRescueInc.